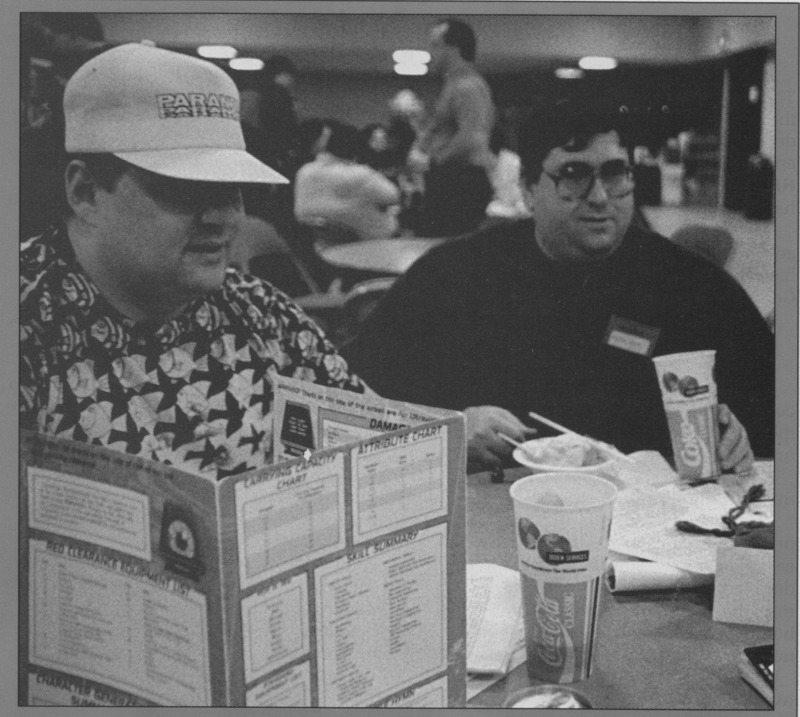 When I first attended GenCon back in 1992, I was all about 2nd edition AD&D. I had a small collection of precious Dragon and Polyhedron magazines, and probably spent more time reading about playing than actually playing. I had vague notions about there being a larger gaming community out there, but I hadn’t really found them. I could occasionally bully some friends into playing, but I really didn’t have a regular gaming group just yet. I’m sure I was aware of other games. Vampire the Masquerade came out just a year earlier and was catching on quickly. I’m sure I had an early edition of Warhammer Fantasy Battles and I was vaguely curious about BattleTech. If you asked me then I probably knew what Call of Cthulhu was, but had little interest in it. For the most part my world revolved around what today I consider likely the weakest edition of Dungeons and Dragons. I don’t think the idea of actually analyzing and critiquing editions as separate works in their own right ever crossed my mind. I think at the time I probably assumed them a different breed of gamer. Somehow in my brain it made sense that gamers loyally played only a single game system – I was a D&D player, they were Paranoia players. Perhaps I thought they didn’t take gaming seriously enough, though I was certainly very curious about what it must be like to play in a game with so much energy constantly present. These days I think that reputation lands with the game Fiasco. I’ve never seen a table of Fiasco players at a convention that wasn’t constantly being asked to keep it down by their neighbors. Naturally, I will jump at any chance to play in a Fiasco game I can get. I still have not yet convinced any of my local gaming cohort to give it a try. But to go back and visit 1990’s Paul, for some reason despite that introduction I never played in a Paranoia game. Nobody I knew ever ran it, and for some reason I never signed up to play it at a convention. I guess I was too eager to get in as many AD&D sessions as I possibly could. It wasn’t until college that I finally said screw it and ran a one-shot, though I think I only got 2-3 players to join me. I have vague memories of that game being pretty fun, but mostly accredited it to my players being crazy people and routinely ignoring the rules and sometimes the content. I had not yet realized that was the point. I ran it a second time while at 38 Studios for a larger group, and I really went all out in producing over the top props. I tried to include every bit of the game – I had secret meetings up front with each player to talk about their secret society and its motivations. I had players fill out silly forms to assign the MBDs. I even had a computer program running on a laptop that would occasionally blurt out random things in a computer generated voice that affected the game. It was exhausting — super fun, but exhausting. And I felt like I barely held on to all the details of the rules I was supposed to be using. I believe I was running Paranoia XP in the Classic setting, for anyone acquainted with those rules. A few years ago my pal Adam ran a Paranoia game at HelgaCon which was as much Paranoia as my Cthulhu games are Cthulhu – which is to say in setting only and nothing to do with any published rules by that title. I believe Adam found the rules too convoluted. He created his own very streamlined system to get the mechanics out of the way and really dive deep into the setting and just let the players roleplay. I didn’t play in this game, but we discussed it a bunch both before and after. I think his approach was eye opening, though I didn’t realize it at the time. I backed the new kickstarter edition of Paranoia hoping this was going to be it, the rule system for this setting that would finally make the game click for me. Then it took forever to produce the thing and by the time it showed up at my door it wasn’t really forefront in my thoughts. I found the rules a bit confusing on first read, so set it aside. I forgot about it for a long time, but last summer for some reason I picked it back up and tried to really read it. I continued to not really get it until at last I read the intro adventure included in the game, which was laid out tutorial style and really helped me come to grips with the system. I posted about the experience and tried to plan a game, but it failed to come together. The date for submitting games to Carnage on the Mountain was near and the theme this year is outer space. I thought Paranoia might be a good fit — it’s pretty easy to translate Alpha Complex into a space station. So I wrote a blurb and submitted it, assuming the I would run a game or two before the convention happened. That failed to happen, and as the convention got closer I started to panic — I didn’t really know these rules, running them for the first time at a convention seemed like a bad idea. What was I going to do? Finally I managed to schedule a test game just two weeks before the convention. I was starting to get nervous – there was no room for failure here. If the test game didn’t go well, I’d still be on the hook to run it at the convention. I re-read the rules. I worried I hadn’t written enough material to fill the game. 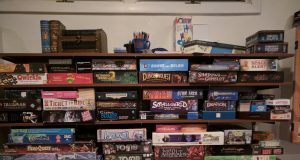 I started searching online for others who had reviewed or blogged about running the game just to get a sense of what it might be like to run it. After digging through a few fairly blunt reviews that simply analyze the contents and mechanics without talking about what it’s like to actually play, I found this gem. As good as the game was, and as much fun as it was, the character creation process was much the same as for any other game. The difference, of course, is that Paranoia was not meant to yield survivors or campaigns. Same with the rest of the rules set. There was nothing at all wrong with them, they would have been fine for nearly anything else–except a game about futility and sudden death. We made it work. They are stripped down, clearly intended to run at high speed in play, and are deliberately kept simple … the basic mechanics are simple enough that within a few games you will have little or no reason to refer to the books. What this means to me is that my style of GMing the game will not have to be adapted to accommodate the new edition. Footnote – I have no idea who those gentlemen are in the featured picture included with this article. It was scanned from the 1993 GenCon Pre-Registration Catalog. Full image here.